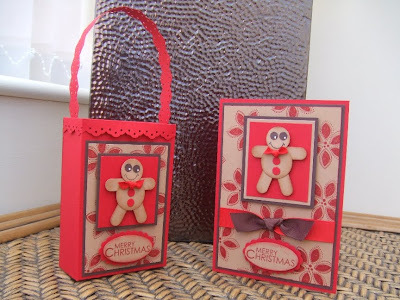 Our inspirational theme this week is 'Gingerbread'. Don't forget you can interpret this any which way you like :o) Our GDT this week is the lovely Helen again. 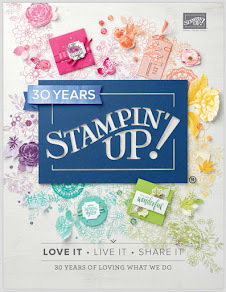 Don't forget .... You can order Stampin' UP! products from me at any time. If you would like a catalogue you can buy them from me for just £2.50 which includes Postage and Packing. Remember to check out the other DT's fabulous creations this week! Just love what you did this week - the gingey is just fabby! Love the colours you used. This is sooo adorable Teri! way to be creative with those punches. I absolutley love gingerbread men and your's really do have to be the best - they are fantastic will have to give these little babies a go!! I LOVE your gingerbread men! so clever and such fab colours! I adore your gingerbread men!! I may have to lift the idea. 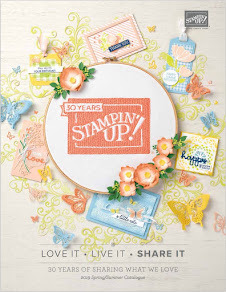 And the stamp you used for the background. perfect! the colors together are fantastic. I love how you've added the chocolate chip colored bow to the red ribbon. fantastic!